Rotherham United Manager Paul Warne said he wasn’t disappointed after losing out in the second round of the Carabao Cup to Everton last night. The Premier League side won the game three-one but, I think it’s fair to say, the Millers gave them a run for their money. 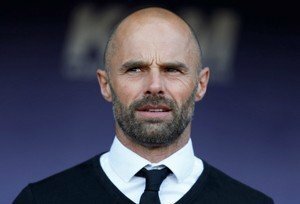 After the game at Goodison Park the Millers Boss told Radio Sheffield that he was ‘flattered’ when he saw the Everton team sheet before the game. Like Warney I thought we started the game well, especially as we lost Joe Mattock in the warm-up replacing him with Semi Ajayi who was replaced on the bench by Richard Wood so had to move the players around a bit – although, they are used to that already this season! Rotherham had a fair few chances last night and often got free of their ‘superior’ markers with Warney admitting that he thought they could have done better but wouldn’t criticise any of them. And again, like the Millers Boss, I thought all the subs he brought on – Will Vaulks, Kyle Vassell and Jon Taylor – had an affect on the game. Warney did make a lot of changes from Sunday’s game with Millwall but says it wasn’t any disrespect to the Cup competition. ‘There isn’t a lot of difference between my players so it didn’t make us any weaker playing the players I did, we just played in a different way.